First: The crusaders were outraged because of Jews and Christians being slaughtered. Second: One of the prominent Christian states was controlled by enemies. 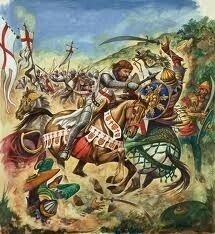 Third: The crusaders were outraged at the defeat of the Christian armies. First: The crusaders gained control over the city.